Parrots are known for their intelligence, unique personalities, long lifespan (in some species, over 30 years!) and striking colouring. Some varieties, such as African Greys, Amazons and Quakers have tremendous vocal ability, resulting in the capacity to mimic the human voice, much to their owner’s delight. 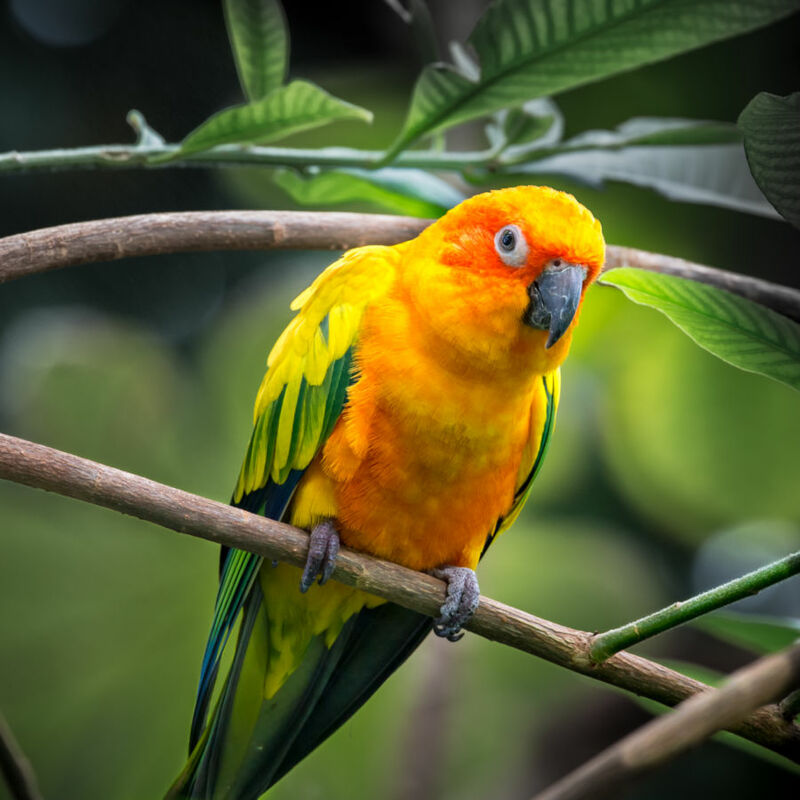 Parrots can be a variety of sizes depending on their species, however, a good rule of thumb to follow is that their cage should be at least double the size of their full wingspan, although the bigger, the better. Parrots do not always share their space well with others, even those of their own kind, so be careful if you plan to mix your birds, watching closely for signs of aggression. A Parrot’s high level of intelligence means they respond very well to toys. Mirrors, destruction toys, bells and puzzles all provide good entertainment. Natural branch perches also make perfect additions to their homes, providing they are the correct diameter suitable for their feet. In the wild, the most dominant parrots have the highest perches, so install them no higher than human eye level, to avoid your birds becoming overly authoritative. A sociable and inquisitive nature means that a parrot will not like to be kept isolated. Positioning their cage in a busy yet safe area of the house is much more enjoyable for them, away from drafts and with a view of surrounding activity. Moving the cage occasionally also offers a stimulating change of view. Parrots need a lot of time flying freely, ideally up to four hours a day. This can be done around the home, making sure that all windows and doors and shut, dangers such as electric fans are switched off, and other pets kept safely away. Parrots enjoy daily bathing. Facilitate this by placing a bird bath in their cage, misting lukewarm water above their head, or turning on the tap or shower when they are flying freely in the home, which they may investigate with joy. 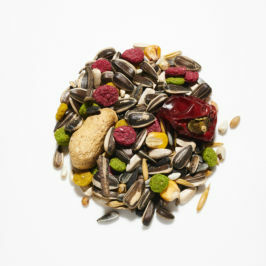 Provide your parrot with fresh, top quality seed mixes and water on a daily basis. Other, snack-sized foods can also be offered, such as bananas and leafy greens. Remember to research beforehand which foods are suitable for parrots, as some are surprisingly detrimental to their health, including avocados. Watch out for any signs of disease, including symptoms such as weight fluctuations, breathing problems or mites. Maintain good hygiene of their home, regularly cleaning and washing the cage, food and water containers, and changing the ground covering. Parrots also need to have their nails regularly trimmed. A professional bird groomer or vet can do this, or show you how if you wish to carefully carry out the procedure yourself. Our retail store in Bristol, Barrow Mill Country Store, has trained staff on hand to offer bird keeping knowledge and advice. 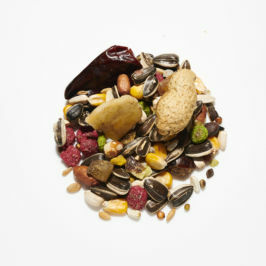 You can also contact us here for further information, and to answer any further birdkeeping queries.